A red maple tree (Acer rubrum) gets its common name from its brilliant red foliage that becomes the focal point of the landscape in autumn, but red colors play a large part in the tree’s ornamental display in other seasons as well. Red flower buds form in winter, opening into showy red flowers before the tree leafs out. New twigs and leaf stems are also red, and after the flowers fade, reddish-colored fruit takes their place. 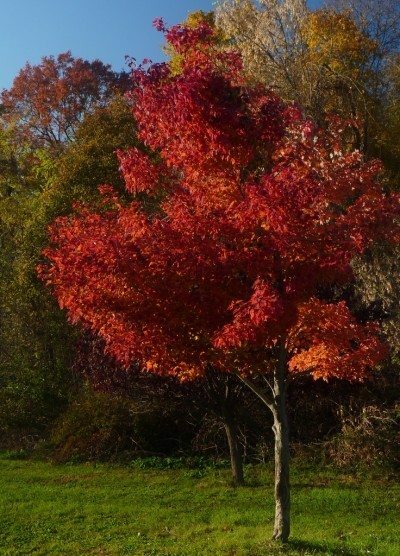 Read on to find out how to grow a red maple tree. Red maple trees vary in size depending on the location and the cultivar. They grow 40 to 70 feet tall with a spread of 30 to 50 feet. Red maples tend to be shorter in the southernmost part of their growing range, which is USDA plant hardiness zones 3 through 9. For small urban lots, consider growing smaller cultivars, such as ‘Schlesingeri,’ which rarely exceeds 25 feet in height. 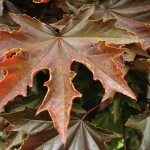 Before you plant, you should know that there are a couple of problems associated with growing red maple trees. They have thick, strong roots that grow near or above the surface of the soil. 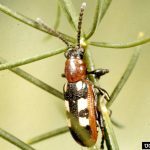 Although they aren’t as destructive and invasive as those of silver maple trees, they can raise sidewalks and make lawn maintenance a difficult chore. Exposed roots are easily injured if you run over them with a lawn mower. In addition, the thin bark can sustain damage from string trimmers and flying debris from lawn mowers. 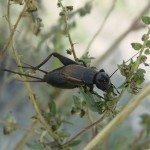 These injuries provide entry points for diseases and insects. Buying a red maple sapling isn’t as straightforward as it may seem. First of all, not all red maples have red fall foliage. Some turn brilliant yellow or orange, and although they are striking, they are a disappointment if you were expecting red. One way to make sure you get the color you want is to buy in fall from a local nursery. Fall is an excellent time to plant, and you can see the color of the foliage before you buy. You should also make sure you purchase a tree grown on its own roots rather than a grafted tree. Grafting creates weak points in red maples and makes them more susceptible to breaking. Choose a wet site located in full sun or partial shade. If the site isn’t naturally moist or wet, the tree will need frequent irrigation throughout its life. The soil should be acid to neutral. Alkaline soil leads to pale, sickly leaves and poor growth. Water red maples before the soil has a chance to dry. Slow, deep watering is better than frequent light applications because it encourages deeper roots. A 2- to 3-inch layer of organic mulch helps the soil hold moisture longer. Red maples probably don’t need fertilization every year. When you do fertilize, apply a general purpose fertilizer in early spring. The leaves are naturally light green in color, so you can’t depend on them to tell you when you need to fertilize. If you buy your red maple tree from a good nursery, you probably won’t need to prune it after you plant. If in doubt, remove branches with narrow angles that appear to be trying to grow straight up. Wide angles between the trunk and the branches add strength to the overall structure of the tree, and they are less likely to break.